Some of my fondest childhood memories involved piling in the car with my parents and siblings to drive down to Nana and Papa’s house. My sister, the youngest, usually sat between my brother and I. Maybe this was because she was smaller, or maybe because it reduced the amount of, “Mom! He’s touching me!” and “Mom, tell her not to…”. I can’t say the car rides were enjoyable, but the anticipation of being with family made them a faint memory compared to the visit itself. Arriving at Nana and Papa’s involved a lot of fanfare and we got special treatment during the whole visit. Even though my sister and I never really liked the matching outfits – complete with hats, gloves, purses, and lacey socks – that Nana put us in, we put up with it because of how proud she was to show us off to her friends at church. The memories are so fond, I can still feel the hugs, smell the food, and picture the family sitting around the den on the orange shag carpet. Then, back in the car for 5 hours with my family and a humming carousel of photo slides projected on the wall to click through on our next visit at my grandparent’s house. Now, as an adult, these trips are just as much about the drive as the time spent. Before I met Andrew, I used to just hop in the car and go. However, I’ve learned that a little planning can make the trip go a lot more smoothly with more assurance of a safe arrival to my destination and back home again. If you have any concerns about your vehicle, do not wait until a day or two before your trip to have them addressed. Give your mechanic ample time to diagnose and repair the concern. Some issues can be handled within a day, but others may take a couple, or even several days depending on the problem, parts availability, and time needed to complete repairs. Keep in mind that repair shops tend to get really busy a couple weeks prior to a major holiday as people prepare to spend time with out of town family and friends. 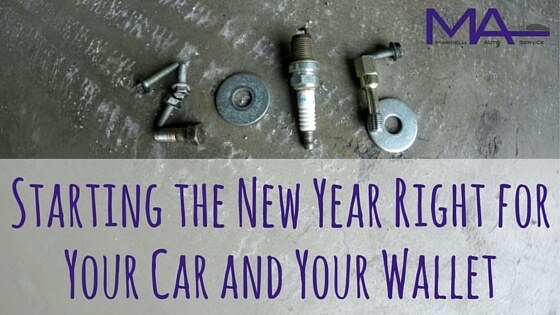 You should be checking your oil level monthly, anyway. Whether due to oil leaking or burning, or normal engine operation, some vehicles require oil top-offs between oil changes, and road-trips put a lot of miles on the vehicle in a short time. Furthermore, oil will sometimes leak faster during extended cruising because it gets very hot and thins out with the heat! We suggest you check it before you leave, occasionally during your trip (gas stops are a good opportunity), and once more after you return. The last thing you want is for your tire to blow-out half-way to your destination. A low tire reduces your vehicle’s ability to handle properly, and, strange as it may sound, increases the risk of a blow-out due to increased friction against the road and heat that builds up in the tire. Again, this is something you should check on a monthly basis, but right before a trip can prevent an especially unpleasant situation. Please remember that you should not use the maximum pressure shown on the tire sidewall, but rather the manufacturer’s recommended pressures listed in the driver’s door area. Make sure your spare tire is inflated as well (we check them during inspections, and they usually aren’t!). Even if your tires seem to be in good condition and properly inflated when you leave, there are certain road hazards that simply can’t be controlled. You don’t want to be stuck with a flat only to find your spare is also flat! For example, has your brake fluid ever been serviced? Since brake fluid is hygroscopic, it will pull water moisture out of the air over time, which lowers the boiling point of the fluid. This is particularly important if you expect to be driving in hilly or mountainous areas. Also, check your wipers. You don’t want to get stuck driving in rain or snow with worn out wipers. When did you last replace your battery? If it wasn’t recently, it may be worth getting it tested. Additionally, make sure you’ve got jumper cables in the car in case it runs low for some reason (I’m really good at leaving my lights on accidentally when I’m out of my usual routine). How old are your tires? Limited use vehicles (or vehicles that sit for long periods) sometimes have dry-rotting tires that still have plenty of tread on them. If you’re not sure how old your tires are, or whether you have obvious, visible dry-rot, these are good questions to ask your mechanic. Driving through the mountains? Make sure your brakes are in good condition. Driving to the chilly north? You may need antifreeze washer fluid. Also, get up to speed on defensive driving tactics for ice and snow. On top of that, you might consider how your car handles in wet and high-speed conditions. If your tire tread is low or your suspension has gone soft, you may have less control over your vehicle at higher speeds and/or in rain, sleet, snow, or ice. Low tire tread increases the risk of hydroplaning and increases your stopping distance. 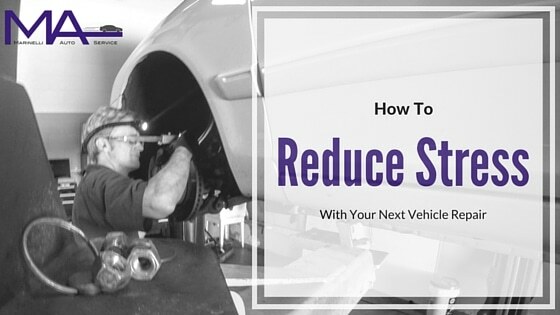 Worn out suspension components can reduce the car’s ability to handle emergency maneuvers (worn shocks or struts can increase stopping distance as well.). You and your family may be really looking forward to being together in the upcoming Holiday season and the last thing you want is for car trouble to interrupt that valuable time. Being prepared in advance can greatly reduce that risk. 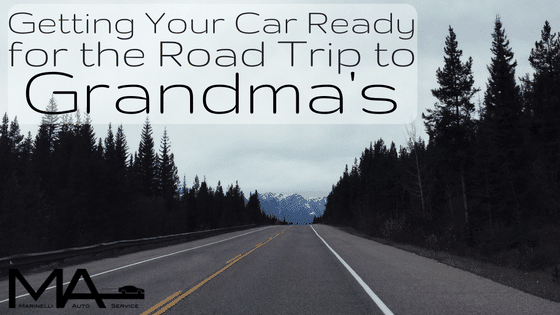 However, it’s smart to stay on top of your vehicle’s condition regardless of a planned road trip because you never know when a family emergency may warrant an unplanned trip. Being proactive can not only save you the stress of the unexpected, it can also help you plan your budget and possibly even save you money by preventing a domino effect of surprises. Most importantly, enjoy the precious moments you are able to spend with your friends and family. Have a fun trip and enjoy the journey! I hopped in my parents’ minivan with my high school friend, Liam (not his real name – we’re still friends and I want to keep it that way! ), on a crisp Michigan November afternoon. I was a little nervous but also pretty excited. 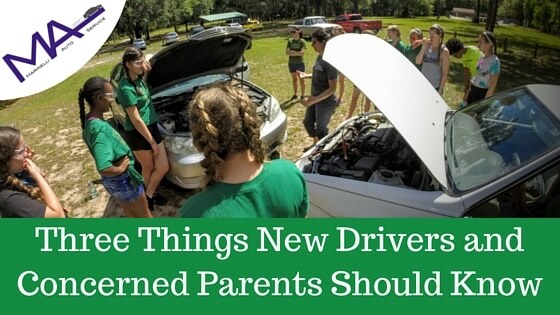 It was one of my first times driving without my parents or another adult in the car. Liam and I were headed to my Grandparents’ house to help clean out their basement. I felt sooo grown up! My car is acting up, so I make an appointment with an auto mechanic shop. I figure I’ll take my car to them, I’ll describe the issue, and they’ll find what’s wrong and repair the problem. If you are like me, the thought process stops there. But then, I arrive and talk to a mechanic, or maybe a service advisor, and then I get overwhelmed. They ask questions I don’t know the answer to and I’m in a hurry to get to the next thing on my agenda. New Year’s Resolutions have gotten a bad rap over the years. Instead of an opportunity to better one’s life each year, this annual resolution has turned into a promise with little hope of completion for many. That’s why I’d like to encourage you to avoid them at all costs. No diet and exercise plans, no promise of kicking that bad habit, of being nicer to your siblings, or of completing that project. Instead, I’d like to encourage you to start every day with 5 minutes to quietly ask yourself, “what can I do today to make wise choices?” Don’t make this a resolution. Don’t get down on yourself if it doesn’t happen every day, just give yourself the gift of 5 minutes. In that five minutes, you’ll likely come up with something different today than you will a week from now. For example, maybe one day you are thinking about choices you need to make about your vehicle, but the money thing is stressing you out. 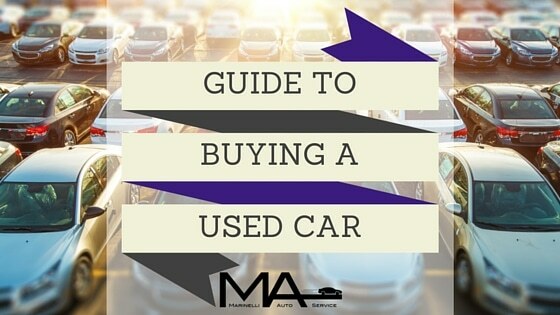 On that day, pull up this blog post, and follow these steps for making wise choices for your car and your wallet. Once you take the first step, you won’t have to work so hard to stick to a goal. Buying a car, aside from choosing the right college and buying a house, is one of the most expensive purchasing decisions we make, and yet so many of us are in the dark as to what to look for. It is an investment we usually want to hold onto for many years. How do I know I’m getting a fair deal? How do I know the vehicle is reliable? Do I purchase from a dealer or a private party? We often have more questions than we find answers, so I’d like to help ease your mind a little when making that all important decision. 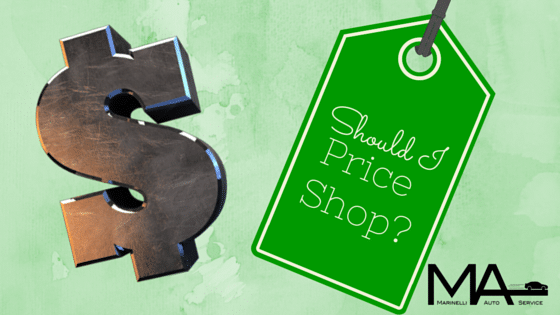 Moving from shop to shop as you look for the cheapest price for a desired service. I don’t recommend that you do any of these things. I recognize that you’ll often save money in the short-term, but we believe you might spend more in the long term.